by Mark Andrews, 1998, ISBN 0-9684014-0-6, page 50. The Photograph of the tablet, (below right) lies at the base of a statue of Colonel By in downtown Ottawa. 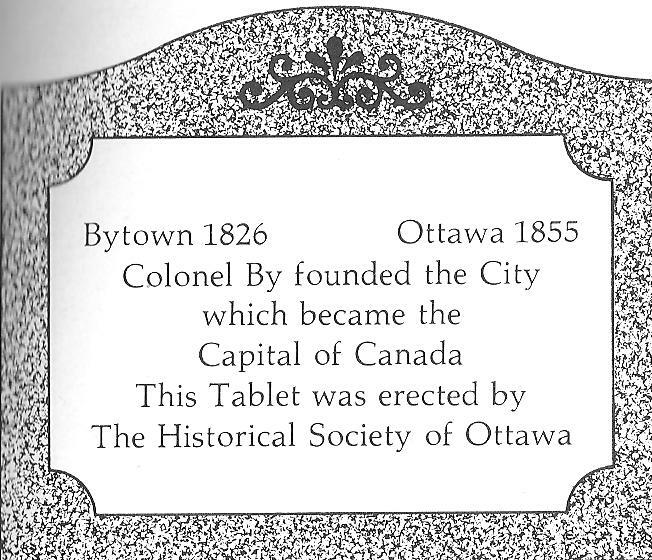 The tablet was erected by the Historical Society of Ottawa. 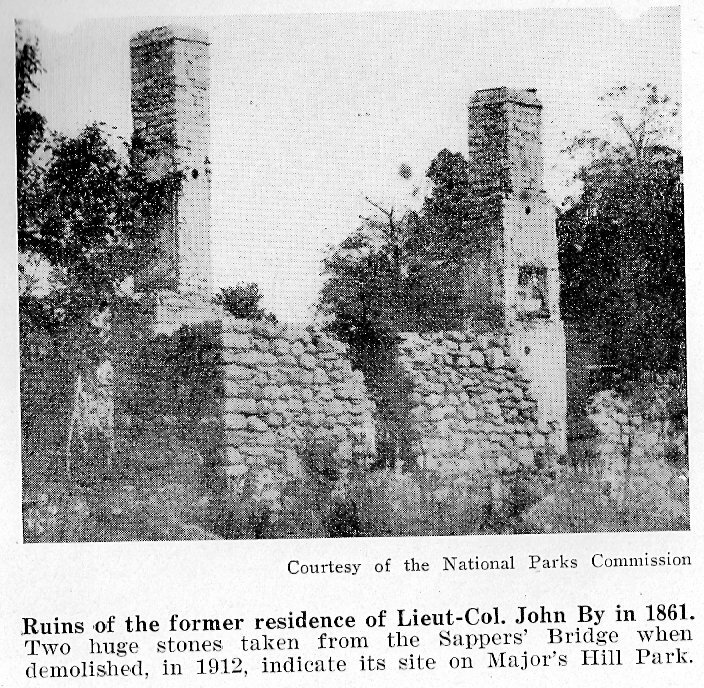 ancestors lived on the estate in the late 1860s. Do you have any idea where the property was? their property would look like today – I guess it’s beyond any imagination during their day! Yes, you can add my e-mail address. family (James and Elizabeth Connor) lived there. 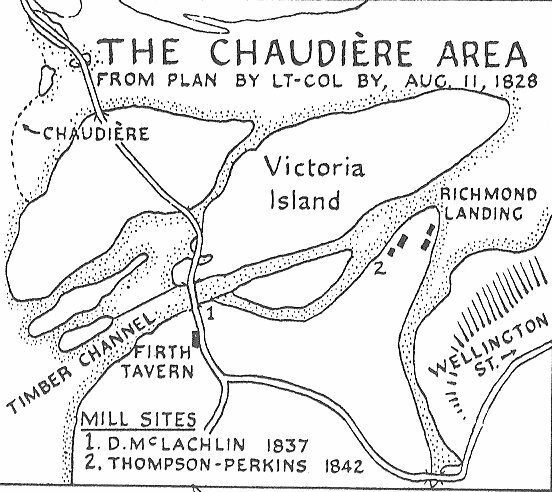 Gladstone Avenue to the south, and the Rideau River in the east. 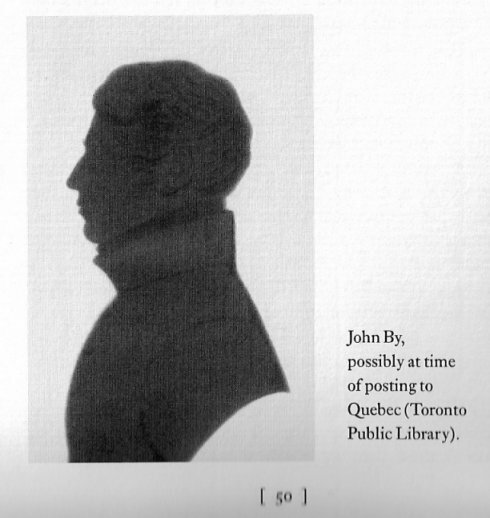 Captain John Lebreton (Lebreton Flats), Major's Hill Park and Uppertown. 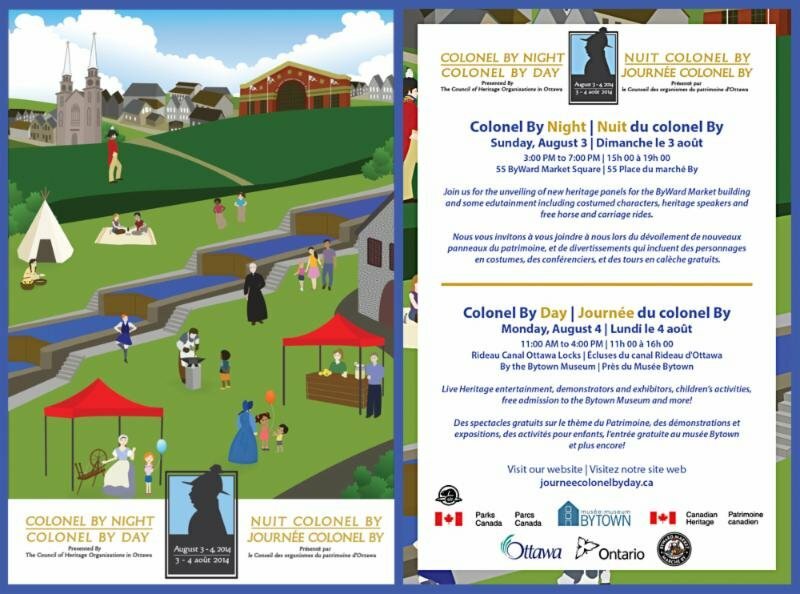 I believe that the following sketch shows Colonel By's house on the east side of the head of the Rideau Canal locks. The commisariat building (out of view) is across the canal locks to the west. It is now used as the Bytown Museum. The East Block of the Parliament Buildings is on top of the hill, on the left. 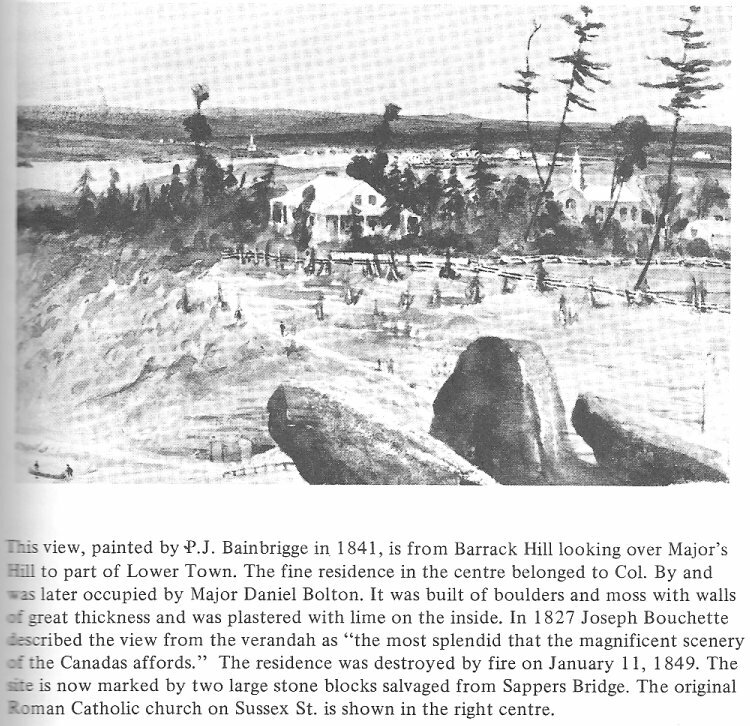 Keywords: J.P. Bainbrigge, Major Daniel Bolton, Joseph Bouchette (Surveyor-General, surveyed much of the Gatineau area). of inexpensive farm land, other settlers arrived soon after. 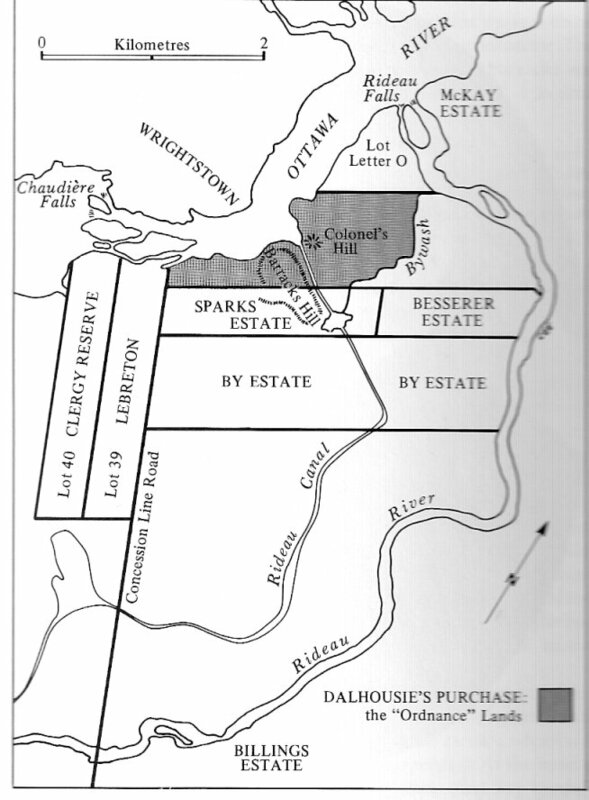 large holdings in Centretown, he may have held land where the Central Experimental Farm is located today. 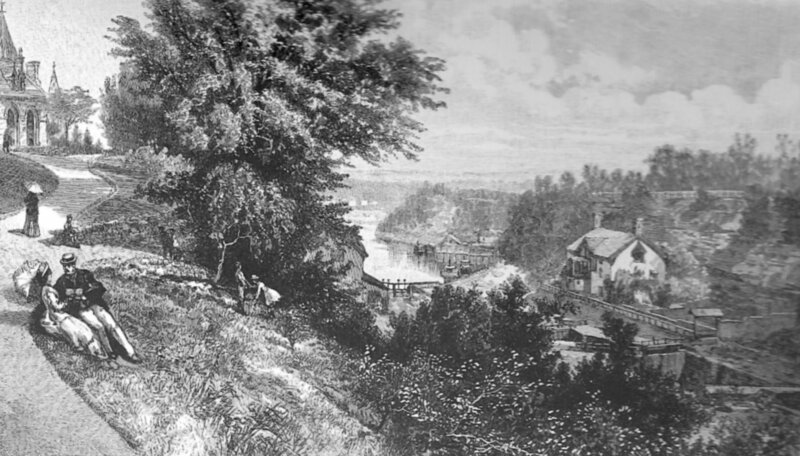 We have a new web page for the Royal Sappers and Miners at the Rideau Canal.